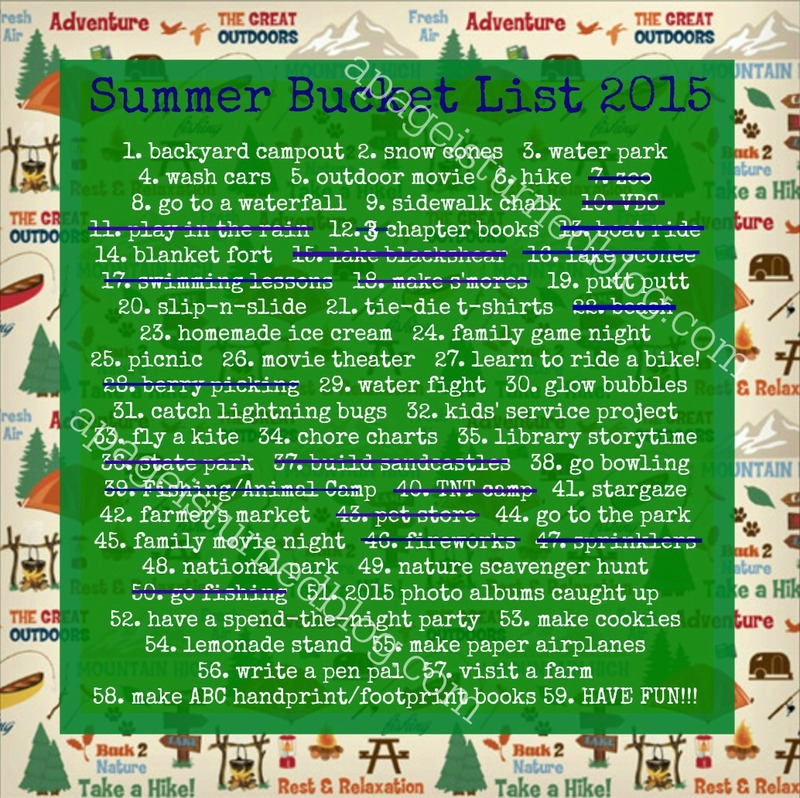 A Page Is Turned: Bucket List Update. I mentioned yesterday that we've marked off a lot of the BIG stuff on our bucket list but have lots of little things left to do. I went through a few nights ago and marked off what we had done in May and thought I'd share it. Lots and lots of it will not get marked off this summer because there's just not time. I have always stretched our summer bucket lists through Labor Day, so even though James starts school August 4th and Will and I go back two weeks later, we'll keep on with the little things. We've had lots of adventures already this summer!